Beauty Box Five - January's Box Full of Goodies! Come See! This is my third month of getting the Beauty Box 5 – January box! This month they had an extra item in their as a surprise (That Awkward Moment mirror). This month I was really excited to try out all these items! So let’s take a look at what goodies I got! This has a bit of a strange scent to it. Granted I have never been to a sea, but this has a pretty strong scent to it. I haven’t tried it yet, as I was using up my old one before I gave this one a go. This is a really nice lotion. My skin has been BEYOND Dry this year, so it is nice to have lotion to try out. I felt like it did a pretty good job at moisturizing my hands and making them look normal again (instead of dry and flaky)! I am a fan of Jergens products, so I could for sure myself buying this in a full size. Plus it is a reasonable price! This is a cuticle oil you use on your nails, I am pretty sure. The bottle is extremely hard to read. I have used it as cuticle oil and it has helped some. Granted I sometimes forget to put it on, but I think it is working pretty good! These gloves you wear while showering or bathing. They help exfoliate the skin! I have tried them once and thought they did a pretty good job at making my skin a bit smoother. With this winter I have had lots of issues with my skin being so dry and flaky no matter how much lotion I apply. So it is nice to have these gloves to use to try and help! This is a lip balm that is pretty unique to me. It uses coconut oil, and I think it does do a pretty good job at moisturizing the lips. I am still a Blistex fan, and I don’t see myself switching to this, as it isn’t quite as good at lasting on the lips. Normally you just get 5 items, but this month they tossed in a bonus item. It is a promotional item for the new movie That Awkward Moment that is coming out. This compact mirror is cute, might keep in my purse, so if I am out and need one I will have it! 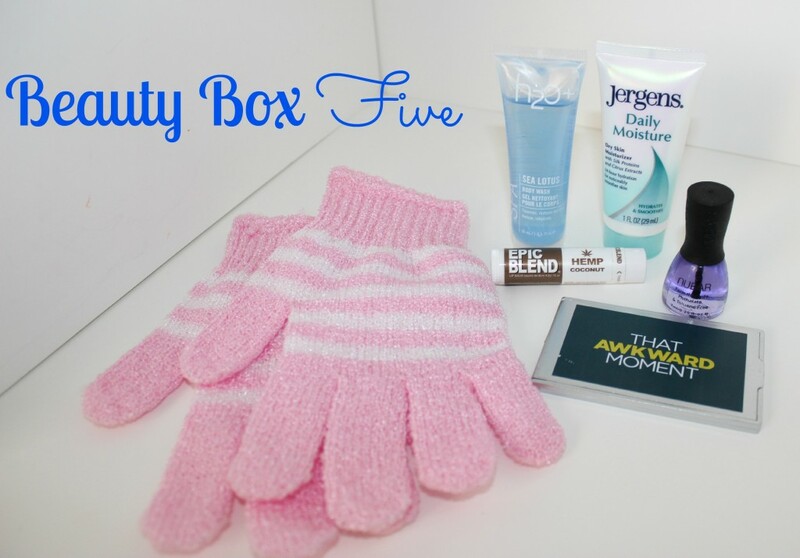 If you are thinking you might want to Join Beauty Box 5, make sure to head over to their site and check out the different offers. 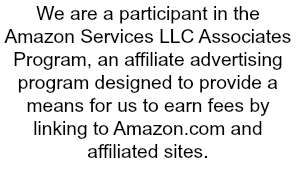 You can choose monthly, quarterly or yearly!